Arc System Works have released the opening movie for their upcoming team-fighter BlazBlue Cross Tag Battle. The game, first announced back at EVO 2017, will see characters from four franchises step up to throw down. 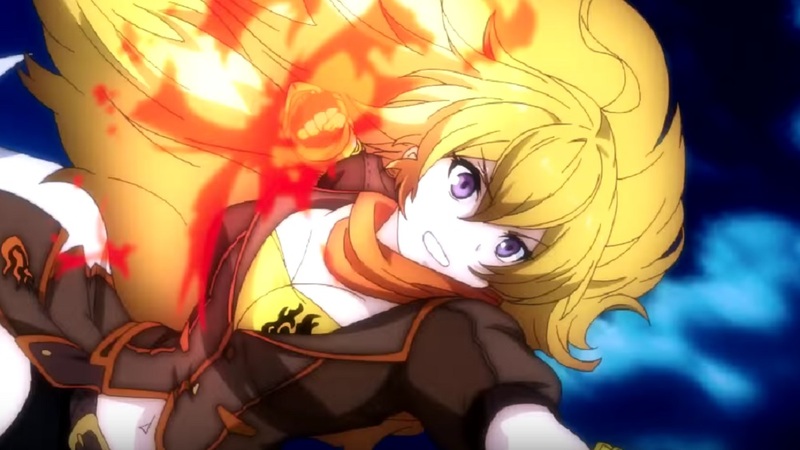 The animated opening features the stylish guys and gals of BlazBlue, Persona 4 Arena, Under Night In-Birth and RWBY as they pose and taunt dramatically to that same-sounding metal that appears on all of these anime game openings. An open beta for the PS4 edition of the game will be available this week from May 12 to May 14, featuring 20 characters, who you can run with in Online Vs, Training Mode and Local Vs, although only digital pre-order customers can fight locally against another human player. After the beta ends, an offline demo will be made available on the PlayStation Store with a severely-reduced roster. BlazBlue Cross Tag Battle launches on PS4, PC and Nintendo Switch in Japan on May 31. It will follow a few days later on June 5 in North America, with Europe to follow sometime this Summer.